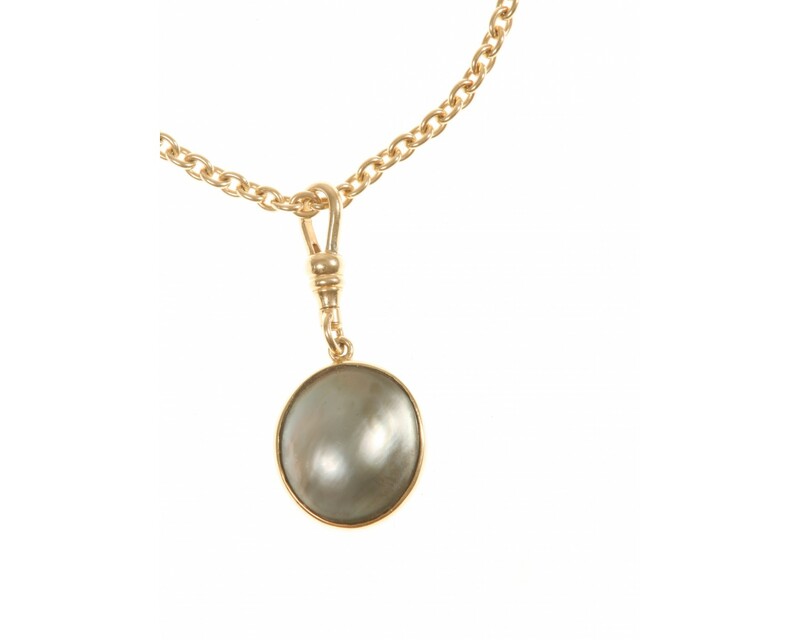 Black Tahitian pearl set in 18ct yellow gold on an 18ct yellow gold albert hook. 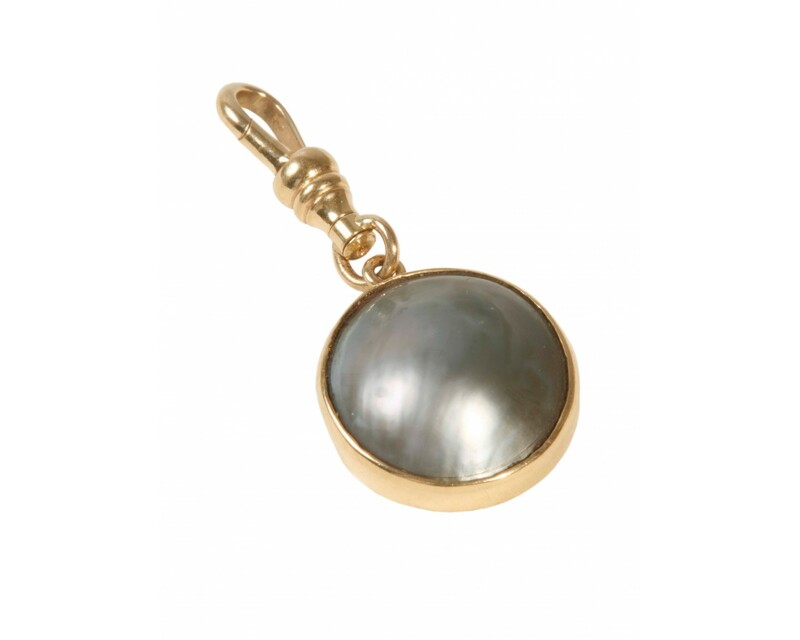 The lustre of this black Tahitian is irresistible. 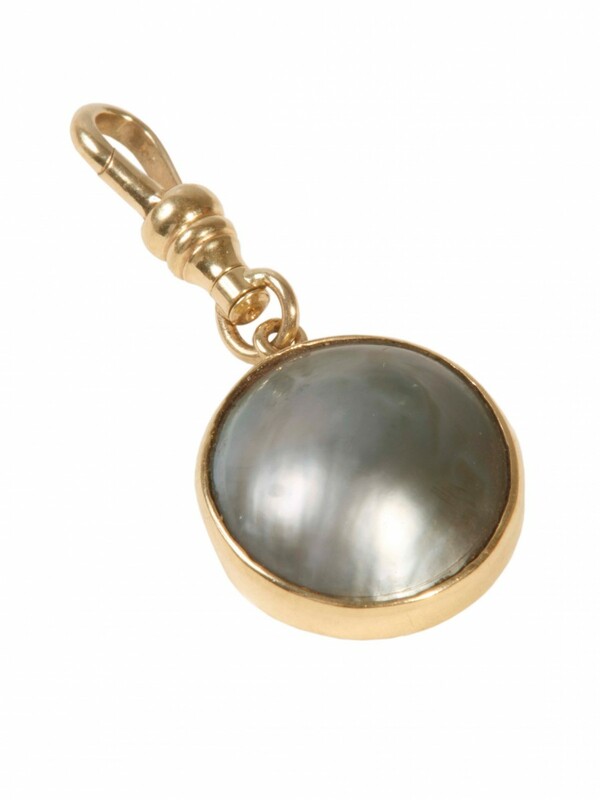 It would be gorgeous worn on a simple 18ct yellow gold chain.